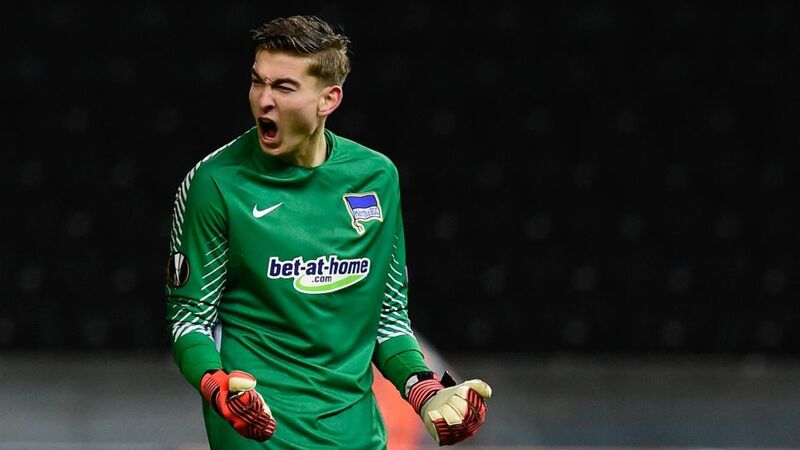 Hertha Berlin’s Jonathan Klinsmann has received a significant boost ahead of the new Bundesliga season with the club’s goalkeeping coach Zsolt Petry performing a remarkable U-turn on his unforgiving assessment of the young American goalkeeper back in March. Klinsmann was restricted to just 10 appearances with Hertha’s reserves in the 2017/18 season and first-team opportunities looked some way off when Petry very publicly scolded the youngster. The former Hungary goalkeeper doubted Klinsmann had the requisite force of character to become the Hertha No.1, saying the 21-year-old had “not a lot of charisma”. However, it seems the son of former Germany striker and USMNT coach Jurgen Klinsmann has dramatically won over his coach this pre-season. Klinsmann, who has represented the USA at U19 and U20 level but is still eligible to play for Germany as his country of birth, has clearly relished the challenge set by his coach. “Coaches always have the right to criticise me. If you tell me what I’m doing wrong, I’ll have to change it,” said the 6’4” stopper. “I came to Berlin as a college kid. I can’t say that I’m perfect, but I’ve improved. Of course, I accept the criticism." To have changed his coach’s tune so considerably in just a matter of months is testament to Klinsmann’s attitude, something that will surely bode well in the youngster’s development. Next on the agenda for the second generation footballer will be to establish himself in the Hertha pecking order with Thomas Kraft, Dennis Smarsch and Marius Gersbeck all competing to displace Rune Jarstein as Hertha's first-choice 'keeper. Click here for more Hertha news, views and features!